All our vets are experienced in carrying out lameness examinations at your yard, where further diagnostics can be carried out e.g. ultrasound, x-ray. For more complex imaging referral can be arranged. The first stage of a lameness examination is to assess for any joint effusions, swellings, areas of heat or pain. 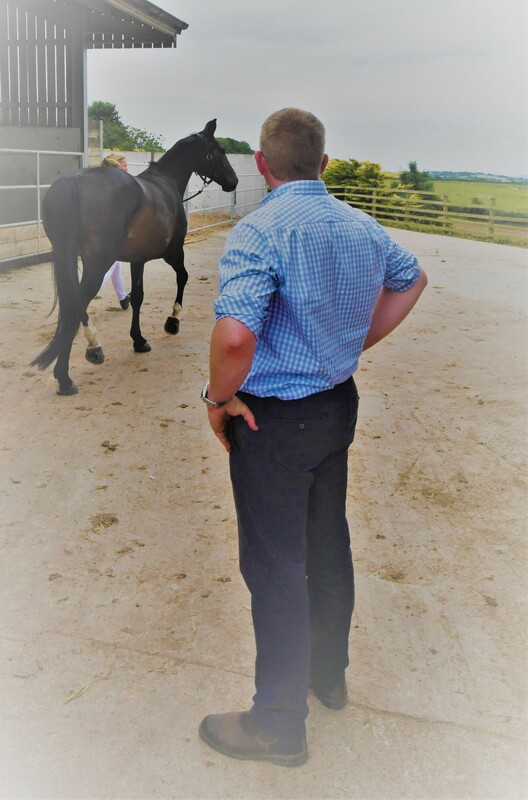 The next step is to examine the horse in walk and trot in a straight line, sometimes on the lunge +/- been ridden; to establish which limb/s is affected. A thorough inspection of the hoof should be carried out; as 90% of forelimb lameness occurs in the foot. If no apparent cause of lameness can be established then regional anaesthesia/nerve blocks should be placed by the vet. This involves identifying certain points in the horses’ limb in which local anaesthetic is placed. Leaving a twenty minute period for the local to work, the nerve below this point is anaesthetised and the horse is trotted up again. 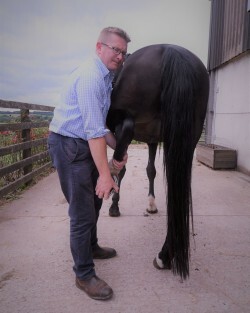 If the horse demonstrates an improvement post injection we know the problem lies beneath this point in the horses’ limb. Following this the next stage would be to x-ray, ultrasound or both depending on the area involved and what your vet recommends. Radiographs only provide a 2-D view of the bony structures involved in the limb and ultrasound only provides a limited view of the soft tissues. Recent advances have made MRI much more accessible as a commodity to visualise the horses’ foot, pastern and fetlock to detect any problems. We regularly refer horses for this procedure. Due to the location of pain e.g. high limb lameness, regional anaesthesia may not be possible and further investigation is required. One common method is nuclear scintigraphy. This form of imaging identifies where new bone/hotspots and provides a location to where the problem lies.